Not the way I usually spend a Sunday morning. But today was fun. 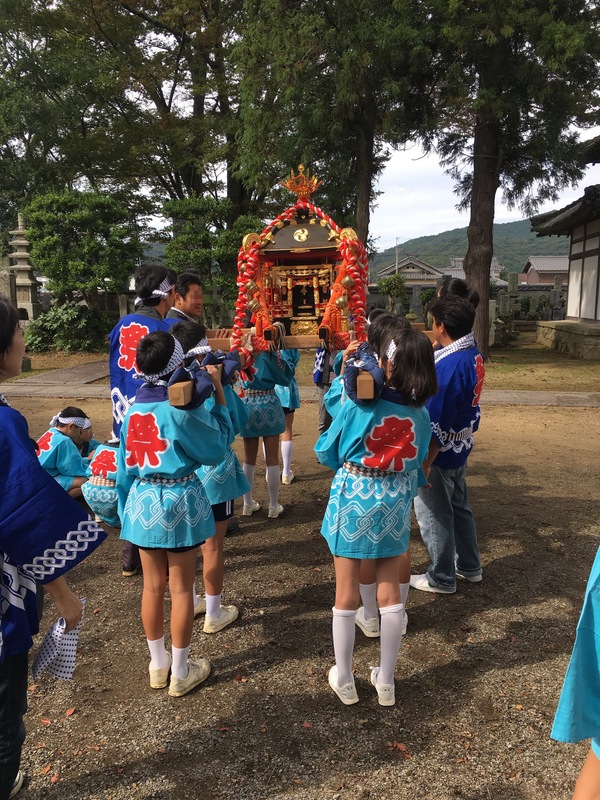 My daughter and I joined other kids and parents in the neighbourhood in taking a short walk from a temple near our home to a shrine two kilometres away. 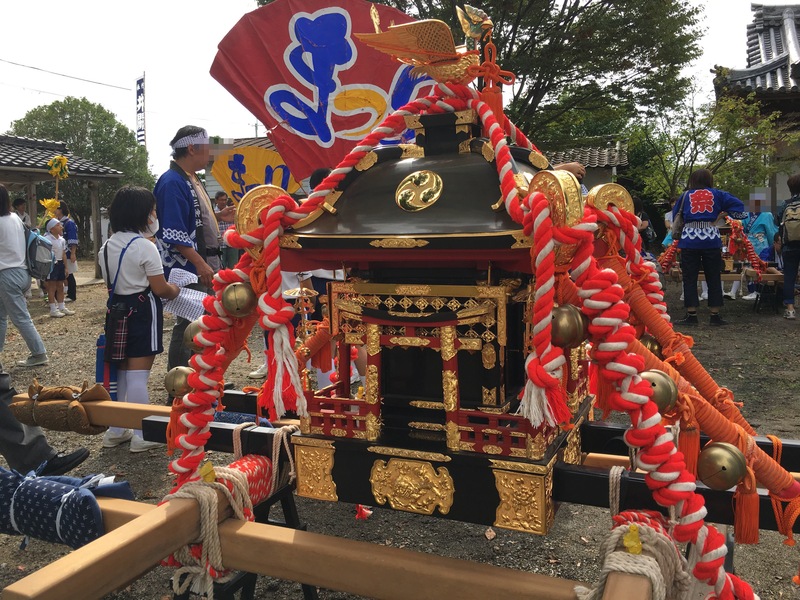 Today’s wasn’t a long walk, but it was one made more challenging by having to carry a mikoshi, shouting “wasshoi” and tripping over the legs of the person in front as we meandered our way up a narrow road between rice fields to the shrine. 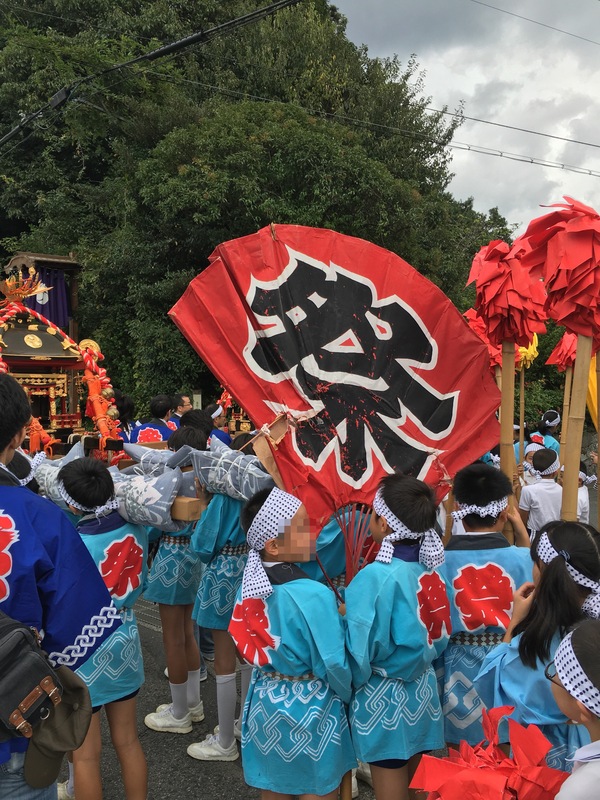 It’s been years—about 12, in fact—since I carried a mikoshi, and memories of aching shoulders quickly came flooding back as I realized that with kids, you can’t raise the bar all the way to your shoulder unless you want to take all the weight! Never fancied myself as a power lifter anyway, I’m more of a long-distance runner!